It is a requirement of your Agreement, that the goods are protected against Theft and Accidental Damage. We can arrange Theft & Accidental Damage Cover for £1.10 per week. It is a requirement that products purchased on a credit agreement are insured. We can offer Theft and Accidental Damage Cover for £1.10 per week. 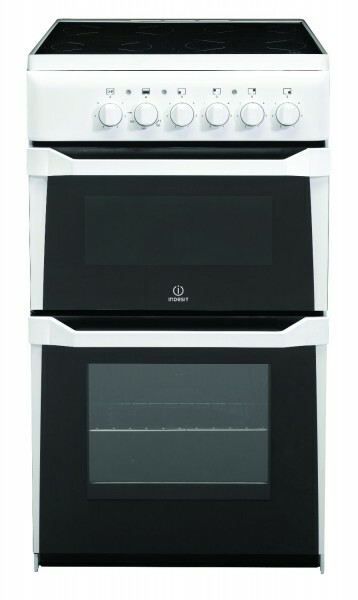 This Indesit 50cm Electric Cooker is finished in bright white. This cooker includes a twin cavity oven and grill controlled by the dials on the front. This cooker includes 4 electric hot plates that can be covered by a glass top, and Grill Kit.